I was feeling sick because of the consecutive postponement of my hikes and the only known cure for it is a leg-breaking major climb. My instinct told me to check my FB if there will be hikes that I can join (yup, I constantly do stalking in fb just to look for hiking buddies). Lo and behold, I saw a scheduled Mt. 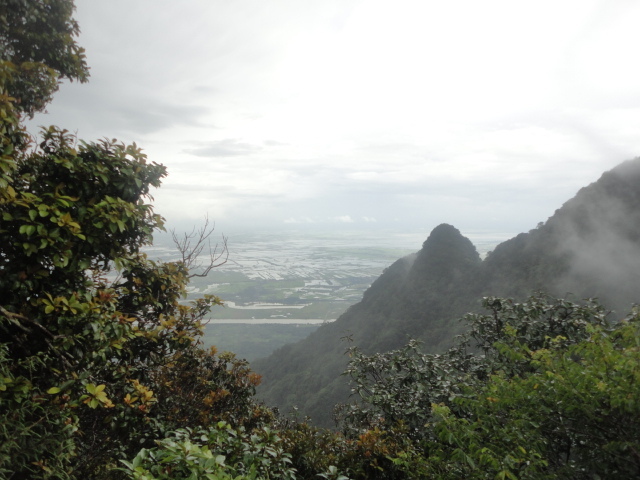 Arayat Traverse dayhike on Sunday, and they're pursuing it even if it rains, brave people huh. I asked them if I can join their hike, they said yes, hurrah! • The rain was pouring wild just like my first Arayat experience. I was chilling when we were passing the ridge. North Peak, you'll notice that the flag marker is no longer there, it was blown down by strong winds few days before our climb. • There was no clearing again at the South Peak viewdeck. Hindi ko pa rin nagawa yung dream photo op ko sa Mt. Arayat. So definitely there will be a third ArayTrav for me. 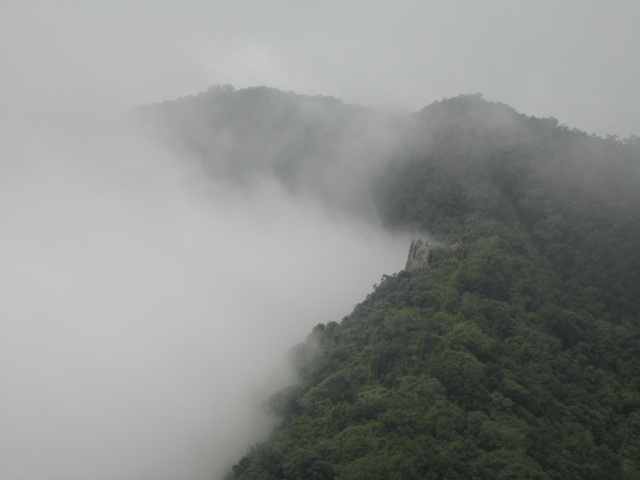 • The trail is a mosquito haven, a lot (as in SOBRA) is scattered throughout the traverse, but the greatest concentration of their number is located at the North Peak campsite (under the tower) and the South Peak campsite. 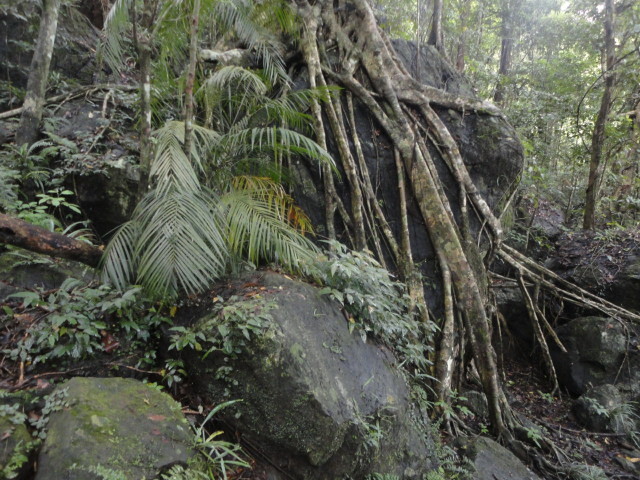 • There's a fallen tree (caused by a typhoon I guess) that blocks the descending trail to Brgy. Juan Baño. 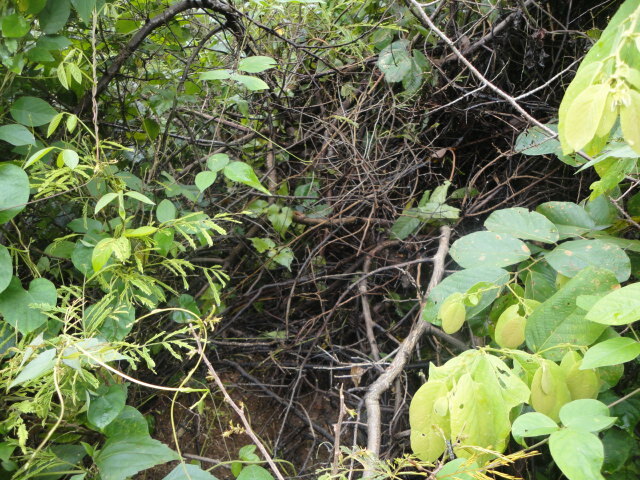 It's no simple tree though, its bark and branches are fully armored with sharp thorns, passing through it caused us headache. konting pasilip ng view from the boulder. • We completed the traverse in 12 hours (an hour shorter than my first Araytrav), oh yeah. • Finally I was able to wash up at the Resort. P10 per ligo. congrats to this group for completing their first Arayat traverse. 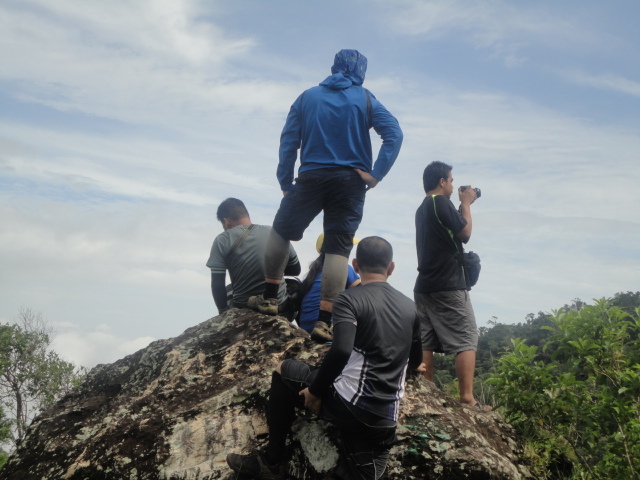 *Thanks to Arnel Palor for letting me join this Arayat traverse dayhike. I feel so alive again. You may check out my first Mt. 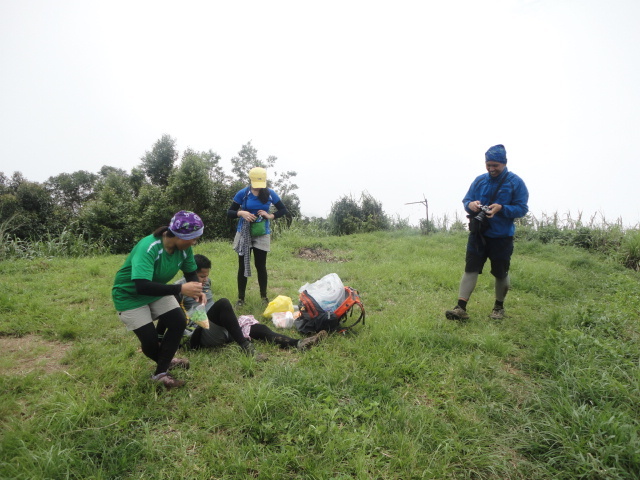 Arayat traverse experience in this LINK. Even w/out that summit clearing, your pics are great, I love every "green" part of each shot. Grabe ang konti lang ng nainom mo... haha! di ko ata kaya yan kahit konti lang din ako uminom ng tubig.. anyway, ganda ng place, bukod sa headache, di ba mahirap dahil sa weather at parang foggy? Your shot of the mist-covered rim is awesome...never seen arayat that way. wala pa rin ba registration? wow, naligaw si sir adonis sa aking blog :)) salamat po. Hi, sir we will be climbing Aratyat on weekend. paadvise nman po kung san best way to commute. do you have contact person for jeep dun? thank you po.